The Liar Princess and the Blind Prince tells a simple yet intriguing story that really shares a valuable lesson. 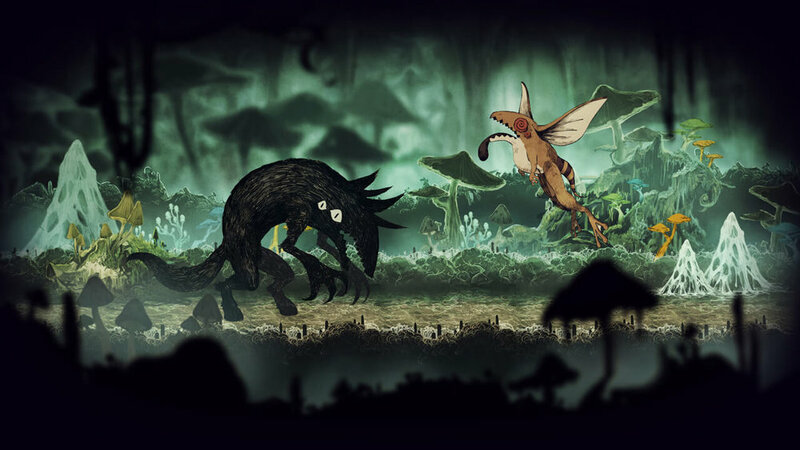 A beautiful kingdom is surrounded by a mysterious forest full of monsters. All is balanced, though, and the humans are smart enough to stay out of the woods. A particular wolf loves to sing; she nightly climbs to the top of a tall cliff and howls at the moon. She finds a strange fan in the Prince of the kingdom, who begins visiting the woods to hear her voice. Curiosity gets the best of him one day and he climbs the cliff to see who is singing. The wolf, in a panic, strikes at the Prince, knocking him off the cliff and destroying his eyes. While he eventually heals, he will never see again. Meanwhile, the wolf finds herself worrying about the Prince, torn because he is a caring fan as well as a mortal enemy. Eventually the wolf calls the aid of the witch of the forest who turns her into a human princess so she can speak to the Prince. She knows if he touches her hairy claws he will recognize her as the one who stole his vision. However, if she can help him visit the witch himself, he could regain his sight. Thus begins the lie, where the wolf pretends to be a Princess to try to right the wrong she did. The game is illustrated like a dark novel of sorts, reminding me of the old Beetlejuice cartoon with it's striking macabre yet pleasing details. As the Princess, you can morph between your wolf and human forms, and you must support the Prince through the entire journey. Much like ICO, the Prince has a limited skill set and basically must be hand-held through the entire journey. In Wolf form, the Princess is an unstoppable monster, twice as big as a human and able to destroy the monsters that block the path. When human, though, she is able to manipulate switches and levers to figure out puzzles. Meanwhile, the Prince may be blind but he can do things neither version of the Princess can do: he can carry the lanterns full of fire that the Princess fears. As you proceed, there are times the path diverges and the Princess has to guide the Prince to help her push buttons that help open the way. I love the difference in power felt between the Princess and the wolf. Feeling the frailty of the Princess adds to the feeling of sacrifice the wolf is trying to do to right her wrong. There are about 24 levels in the game that can take ten to fifteen minutes to get through, more if you are looking for all the special pickups such as golden flower petals or special gardens where you can pick a flower for the Prince. In my first playthrough I only missed thirteen of the pickups, but a level select lets you go back later and aim for full completion. The special flowerbeds unlock a little bit of story lore in the options menu. There are also special achievements to go for adding a bit more replayability and challenge. The game autosaves after certain places in each level. This prevents a lot of backtracking but was frustrating from time to time, as I'd go left instead of right and die to go back to the last autosave only to learn if I'd taken a couple of steps the other way I wouldn't have to redo things. There are a lot of platforming puzzles, and a couple of them had frustrating jumps that would send me back, as the characters can't take a lot of damage in human form. There are also some brain teasers that really mess with your head. There's a particular counting one midway through the game that really frustrated me, as I had to go back through the level and number items. Once I got my numbers, the game said I was wrong, so I ended up just dialing in numbers until I got it right. Soon after there was a major brain teaser level I flat out couldn't decipher. Luckily, that one has an obvious "easy road" and "hard road" allowing a skip with no obvious repercussions, and there's a flat-out "skip level" button in the main menu if you get stuck and simply want to see the story. Most of the puzzles are decipherable within a few seconds, and it's up to you to figure out the mechanics of the platforming to overcome them. I was enamored by the story of friendship formed between our main characters. I don't want to spoil parts of the story, but I can say that a valuable lesson is learned, and the story's final moments culminate in an unexpected way for a video game. It's a great tale with a wonderful moral. I absolutely loved how the game animates as well. From the Princess adjusting her crown every time she morphs back from wolf mode to the satisfied smile the Prince gets when she holds his hand, the game is very well polished visually. The game is short, clocking in at five or so hours, but the journey is amazing and heartwarming. 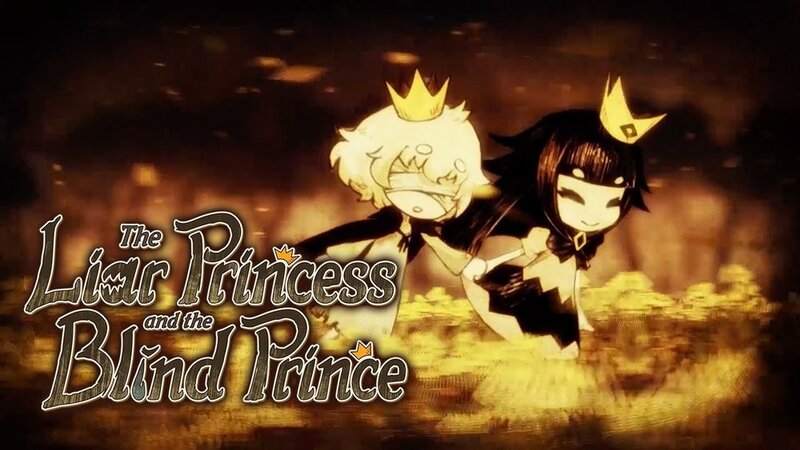 Overall The Liar Princess and the Blind Prince is a great story worth a playthrough. The $19.99 digital asking price is easy to recommend, though I wish I could have reviewed the digital edition and seen some of the special swag it comes with, including a soundtrack CD and storybook. The characters draw you in with their tragic tale of friendship, with a strong moral that's very heartwarming to experience. 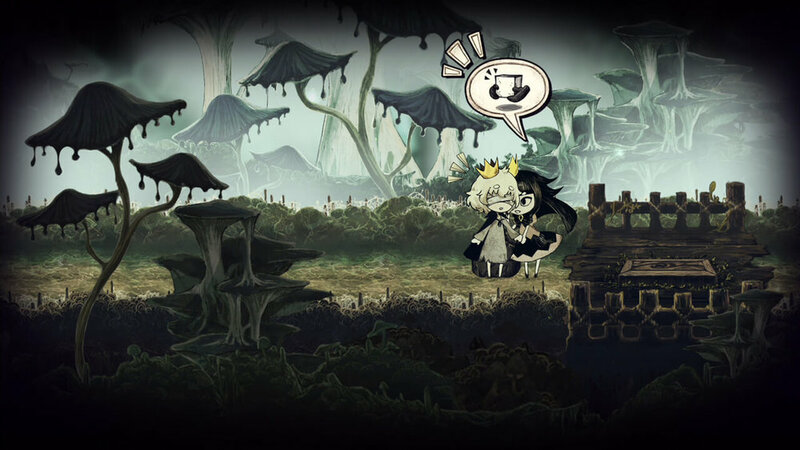 While the world of the game appears very grim and dark, The Liar Princess and the Blind Prince will warm your heart with it's wonderful fairy tale. Special thanks to NIS America and Nippon Ichi Software for providing a Switch download code for review!